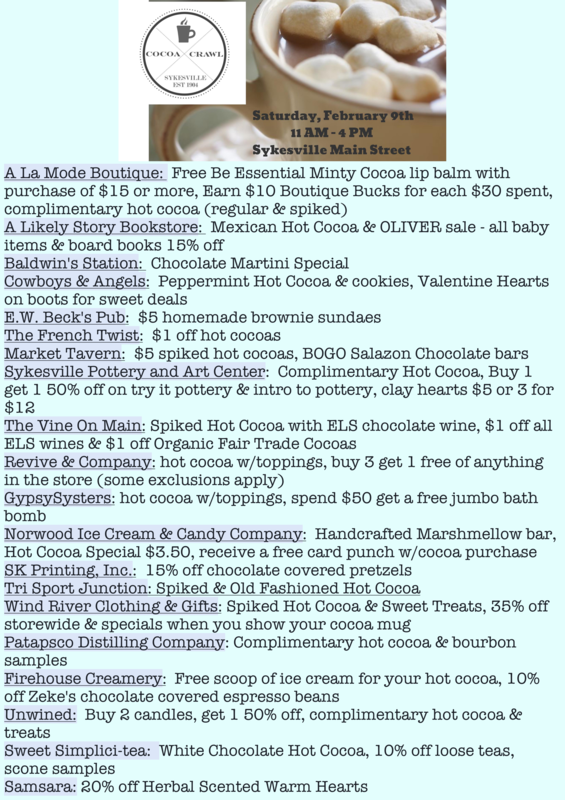 Join us Saturday, February 9th from 11 AM – 4 PM for the 2nd Annual Sykesville Main Street Cocoa Crawl! 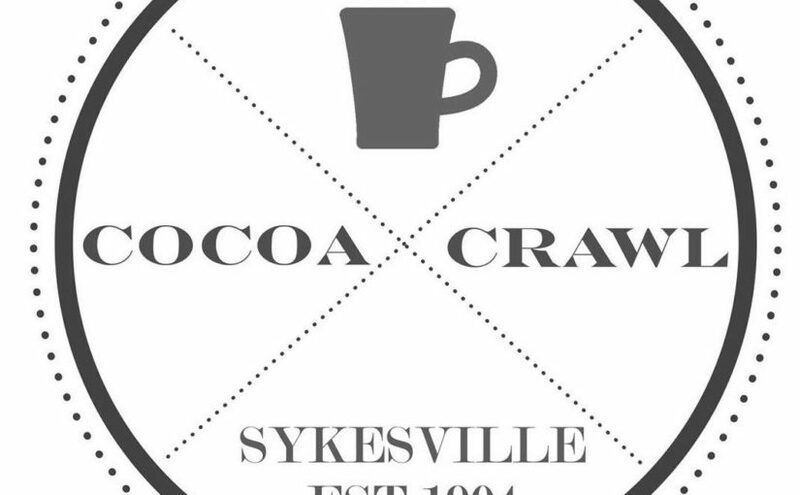 Presented by the fabulous merchants of Main Street and the Downtown Sykesville Connection, the crawl will provide patrons with the opportunity to sip on hot cocoa while you walk throughout the Main Street area. 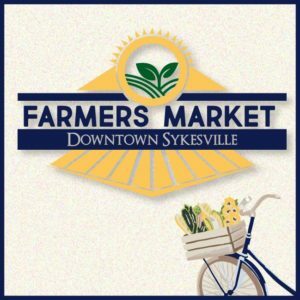 This event will provide the opportunity to experience all the best flavors that downtown Sykesville has to offer and is a family friendly event! Stop by all of our various shops, restaurants, and business for in store specials, samples, and much more. Cocoa Crawl commemorative Sykesville mugs will available for sale (while supplies last) on the event day at the Patapsco Distilling Company, 7609 Main Street, Sykesville, upon presentation of your receipt. *Non-refundable, event is rain or shine.